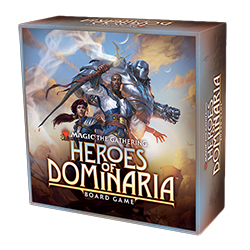 We�ve been sending out review copies of Heroes of Dominaria, and this awesome review was just posted that I wanted to share with you! From the review: "There is much to love: The production quality is high, the learning curve is small, and the strategy is appreciable." Feel free to share the review with your sales partners. Can�t wait to continue working with you all on this excellent game!